This is one of Collinsville most unique attractions. 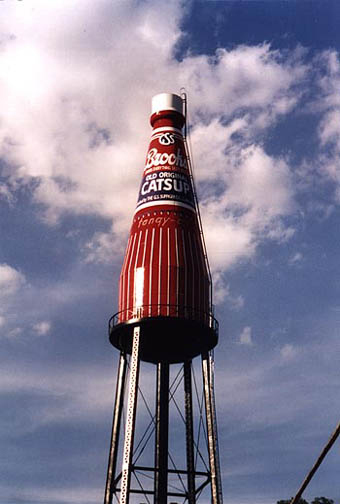 The “bottle” served as a water tower for the catsup maker since it was built in 1949. This roadside attraction is Americana at its finest. You may have to wander off 66 a bit to find it, but it’s worth the effort. Local volunteers keep the catsup bottle looking its best.